The X540 Multi-Terrain Tractor travels where you need to go, and does the heavy-duty work you need it to. How? Its wide stance enhances stability on hillsides. Traction can be increased simply by pressing a pedal. 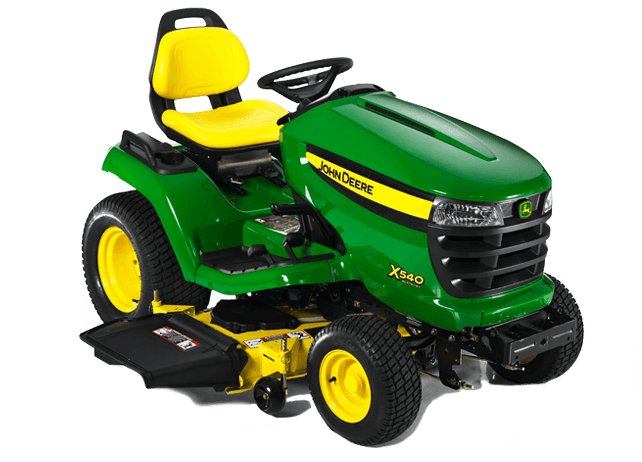 Its heavy duty frame works with ground-engaging equipment like tillers, and features like the on-board deck leveling gauge assure quality results every time. Multi-terrain. Multi-talented. The X540 Multi-Terrain Tractor.